In the land of Kale there lies a delicate balance between the powerful Temples and the rulers from an ancient, royal bloodline. The Temples are ruled through combat, determined by a series of tournaments. Of these tournament champions, sixty are chosen to become Defendants, an elite team charged with protecting the realm from all enemies. Selection to this team is considered the highest of honours and leadership of the team is decided only once every thirteen years. Princesses Mariana and Ameria, twin daughters of two such champions, are taken as children to separate, yet equally powerful Temples. Through years of rigorous training both are educated in the arts of combat, swordplay, and the ancient traditions of the Temple Gods. Both eventually obtain the rank of Kalian Champions with the expectation of one day serving upon the coveted Defendant Team. Then, not long after their seventeenth birthday, the childless King declares that one of the sisters must succeed him as the future Queen. As the race for the throne begins, the sister’s long standing rivalry intensifies, leading both upon a dangerous path that threatens not only their lives, but the fate of the very kingdom. Unbeknownst to the twins, this treacherous path to the throne is the elaborate collaboration of an ancient prophecy and two creatures charged by the Gods themselves ensure it comes to pass. As primeval powers awaken, the two sisters must struggle to learn the truth behind the prophesy and search for a way to change their inevitable fate. 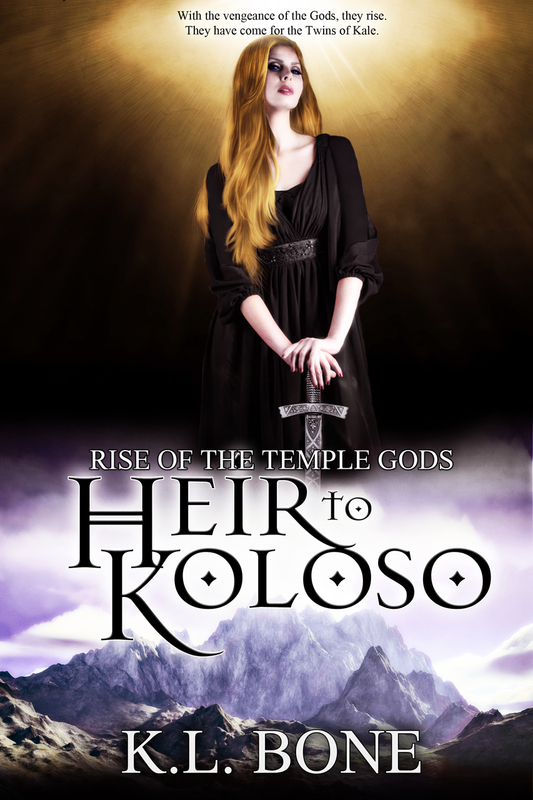 Heir to Koloso: Now Available on Amazon! The struggle for the throne intensifies as twin Princesses Ameria and Mariana are forced to contend with their bitter rivalry and haunted past. 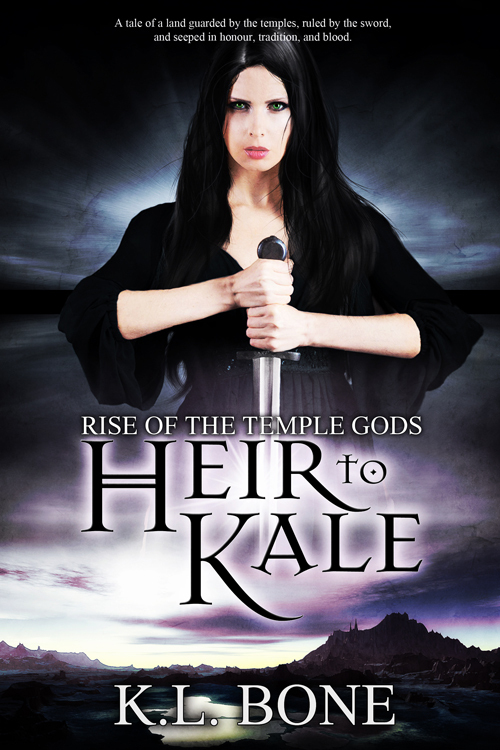 In this sequel to Heir to Kale, the sisters learn that they must first expose the secrets of their past before they can begin to unveil their shadowed destiny. Awaiting the Temple bout which will determine her fate, Princess Mariana struggles to unite a Kingdom long bereft of leadership. She must navigate a labyrinth of rival families, powerful lords, and the ever-widening rift between those who serve the Temples and those who do not. Unprepared and still grieving the loss of her mentor, Mariana must decide for herself what is right for the kingdom and who, if anyone, can be trusted. Meanwhile, Princess Ameria is more determined than ever to discover the true identity of her father’s killer and is willing to risk everything in order to find the answers she seeks. Embarking upon a quest which takes her from gleaming Temples to darkened castles, she endeavors to learn the truth about her family, the Prophecy, and the future of the Kingdom. Eventually turning to her estranged grandfather, the powerful and dangerous Lord Riccard, Ameria uncovers a truth about her family’s past from which will threaten to challenge the very foundations of her beliefs. However, as the sisters come closer to revealing their past and the prophecy which haunts their future, the wraiths watch from the shadows, an ever-present reminder that time is running out and that the fight for the throne looms upon the horizon. Heir to the Defendants – Now Available!